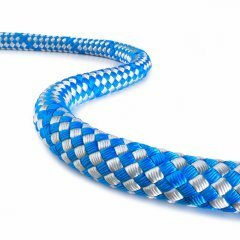 epiCORD is the latest novelty to the TEUFELBERGER hitch cord range and features kernmantle construction as well as a Polyester/Technora® cover for better core protection. 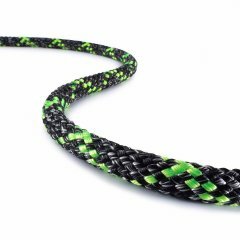 The epiCORD is a hitch cord featuring a kernmantle construction with a strong core made of Technora® and Dyneema® and a tight but flexible cover of Polyester and Technora® that allows the climber to tie hitches easily. The Technora® material adds heat and abrasion resistance to the cover and therefore protects the lightweight but due to the Dyneema® fiber heat sensitive core. The special balance of the two materials in the core caters for high breaking strength and allows releasing the hitch when needed. This product can be damaged when exposed to temperatures ≥ 70°C. It will sustain a relevant loss in breaking force. The rope must be stored at room temperature and must not be exposed to any heat sources. Sirius Reep Cord is the classic among prusik cords, especially in tree care. Its 8 mm version is certified to EN 564. 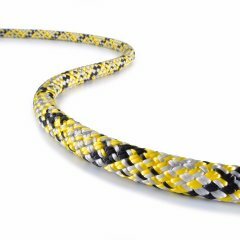 Nodus from TEUFELBERGER is a prusik loop made of polyester. 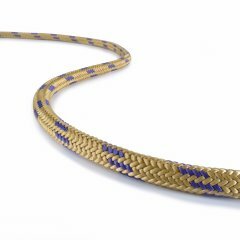 It is also suited for universal use as a safety & rescue rope. The Nylon Accessory Cords from TEUFELBERGER are perfect for stringing accessories or for carrying along personal items when climbing.